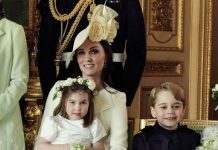 Princess Charlotte, the second child of Kate Middleton and Prince William, is set to make the perfect hostess as she follows in the steps of her mother, an insider has said. 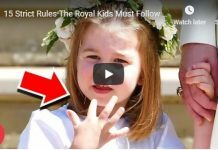 A royal source has divulged that the three-year-old loves to make guests to Kensington Palace feel welcome. While many small children may hide behind their mother and avoid talking when first meeting new people, Charlotte is showing impressive confidence. It’s been revealed that when visitors come to their home she’ll make a point of greeting them and making sure they’re looked after. It’s no surprise that the little princess isn’t afraid of others as she’s proved her love of being in the public eye on several occasions. 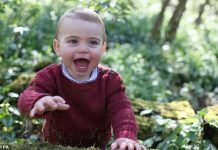 When she and her big brother Prince George, five, came to see their younger brother Prince Louis, four months, just after he was born at the Lindo Wing, she did not shy away from attention. Charlotte waved to the gathered crowds as soon as she stepped out of the car and even turned back for another wave as they headed inside. 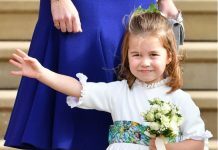 Charlotte showed her cheeky side when, at the christening of Louis, she told the media at the Royal Chapel at St James’s Palace, “You’re not coming,” as they processed off to the christening party. Queen Elizabeth II, 92, has also shared an interesting insight into her great-granddaughter. 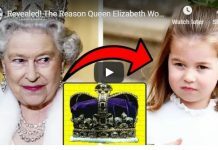 The monarch recently asked a 10-year-old schoolgirl if she “looked after” her six-year-old sister. Charlotte’s main hobby is horse riding – having started lessons aged two – but she also shares another beloved pastime with her brother George. The royal siblings both love reading and were photographed holding a book at Trooping The Colour 2018 at Buckingham Palace.